Yogi, that is a beautiful easel card. Thanks for joining the Catch the Bug Anything Goes Challenge, Lisa Lynn DT. 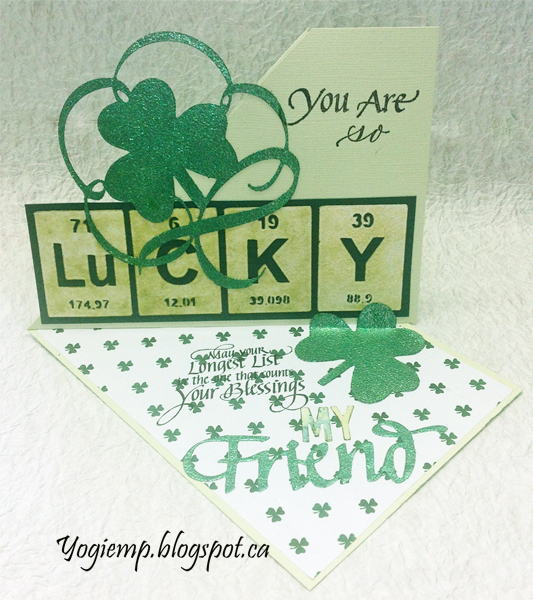 It's so cool when people make words using the symbols from the Periodic Table! 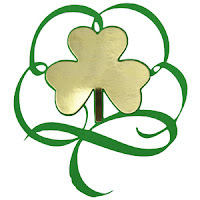 I love your side easel card, especially that gorgeous shamrock! Thanks for joining us for our Anything Goes challenge at Cut it Up! Fantastic Card, thanks for playing along in our AG challenge at Catch the Bug. Marvelously done, Yogi! 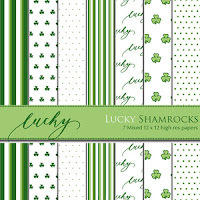 Love the St. Pat's theme. :-D It's wonderful to see you playing along in our "Anything Goes" challenge at QKR Stampede this week. Good luck. Ha! Very cool and clever! This is a great easel card - love all the elements! What a stunning twisted easel card. Love it. 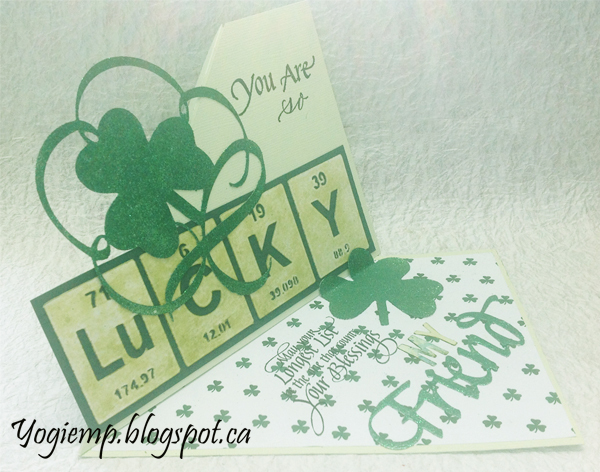 Thanks for playing with the Simply Create Too DT in our challenge no. 136, Use Green. Come again soon. Excellent design using the easel fold! Thank you for playing along at Brown Sugar Challenge. Thanks for playing with us at Simply Create Too!! !